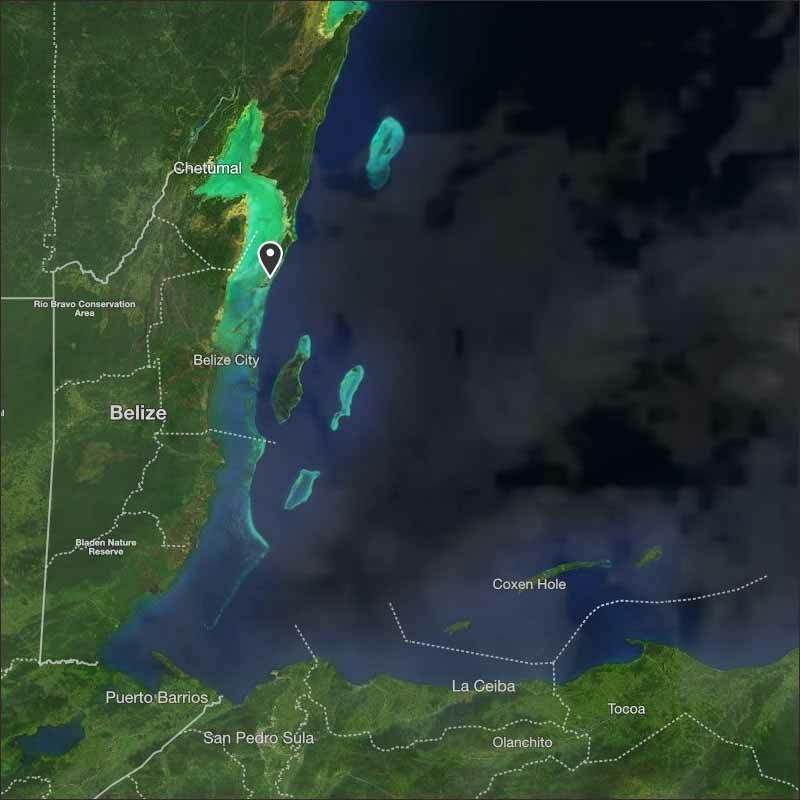 Belize NMS: Relatively moist conditions will prevail. 24-hour forecast: Cloudy with a few light showers mostly over the north today and mostly along the coast tonight. Today: Winds: E-NE 5-15 kt. ; seas: Choppy. ; waves: 3-5 ft.; a few light showers mainly north. Tomorrow: Winds: E-NE 5-15 kt. ; seas: Choppy. ; waves: 3-5 ft.; a few showers. Marine Outlook: Thursday night:- Winds: E-NE 5-15 kt. ; seas: Choppy. ; waves: 3-5 ft.; a few showers. General Outlook: For Thursday and Thursday night is for some cloudy spells with a few showers over most areas. 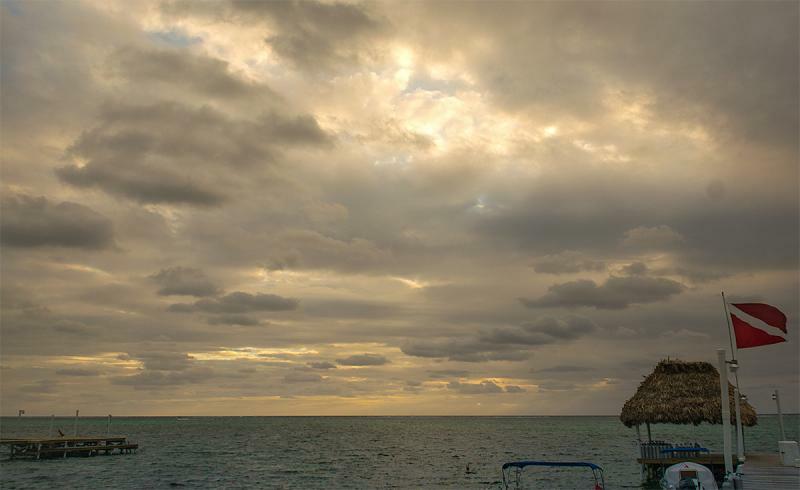 On Ambergris Caye this morning the wind is from the East at 6 mph and our expected high is 81. 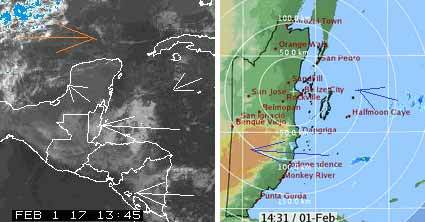 The weather has completely changed, the easterly Caribbean winds with cloud have taken over from all that cool northerly air. 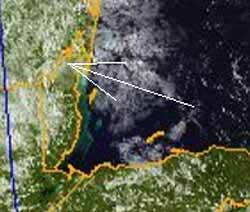 There are patches of rain out in the Sea, some are coming ashore in central Belize. Looks like today is going to be mainly cloudy, the odd patch of sun perhaps, and a significant chance of some rain later. Looks as if the last of the rain should be clearing the north of Belize soon.